I might have a slight problem when it comes to brunching. Whenever I go out for brunch or make a pre-meditated breakfast at home, I always land on a croque madame or a croque monsieur. Boring, right? Well, maybe a little, but how could anyone really get bored with melted gruyère and ham? Then there’s the bread factor, which is important for people like me who don’t like to do their morning coffee without carbs. And, of course, I wouldn’t dream of having my croque without a decent schmear of Dijon mustard. That’ll wake you up. Yum. Are you going to fault a girl for knowing what she likes? 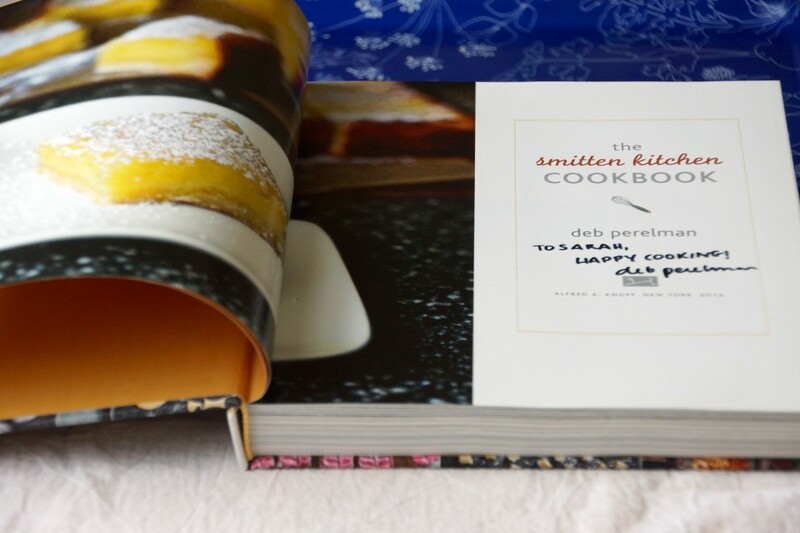 A couple of weeks ago, I bought The Smitten Kitchen Cookbook (and had the opportunity to meet the Deb Perelman!). 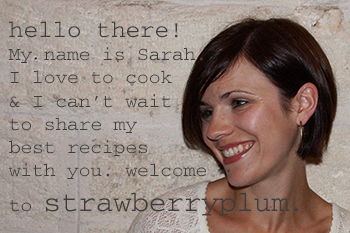 I leafed through the book for days, admiring the pictures and the writing, trying to decide which recipe to tackle first. 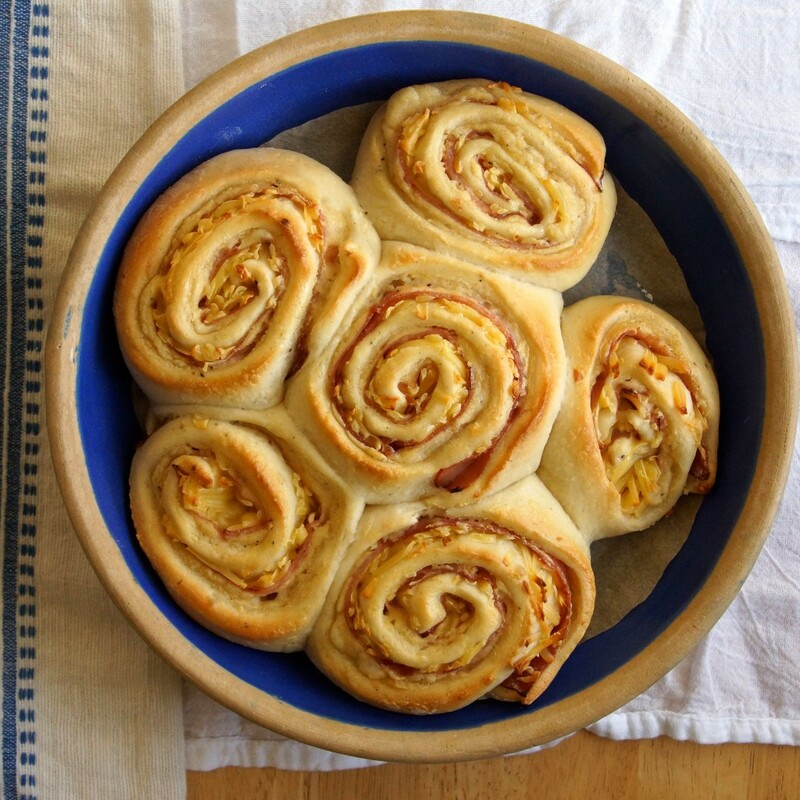 I would have happily made anything, but I kept coming back to the Cheddar & Onion Breakfast Buns. I kept looking at these glorious buns, wondering how I could take the cheddar out and, instead, insert all the elements of a croque monsieur. Like I said, I may have a problem. Problem or not, there are breakfast pastries to be made! Let’s get a move-on. Mix up a rich, buttery dough and let it rise until doubled in volume. No croque monsieur-like concoction would be complete without a creamy béchamel binder. We’ll whisk up a thick version and spike it with a good dose of Dijon mustard. Roll the dough into a long rectangle. Grab the goodies: Black Forest ham and gruyère cheese. Spread the dough with béchamel, layer on slices of ham, and sprinkle with grated gruyère. …ta da! My ham and cheese breakfast addiction, baked into a bun. Boring? Not a chance. Imagine everything you love about a croque monsieur sandwich swirled and baked into a soft, savory breakfast bun! Combine flour, salt, a few grinds of black pepper, and sugar in the bowl of an electric mixer. In a small bowl or liquid measuring cup, combine yeast and warm milk and stir to dissolve. Add milk mixture and melted butter to the dry ingredients and mix with the paddle attachment until a shaggy ball has formed. At this point, switch to the dough hook attachment and "knead" for 5-6 minutes until smooth ball has formed. Place in a lightly oiled bowl, cover with plastic wrap or a clean kitchen towel, and place in a warm, draft-free location until it doubles in volume. While you wait for the dough to rise, prepare the béchamel sauce. In a small saucepan set over medium heat, melt the butter. Add the flour and whisk until the mixture is lightly golden, about 5 minutes. Slowly whisk in the milk. Cook over medium-low heat, constantly stirring, until the sauce is smooth and quite thick, about 5 minutes. Remove from heat, season with salt, pepper, a pinch of nutmeg, and Dijon mustard. Allow to cool completely. To form the buns, turn the dough out onto a floured counter and roll into an 8 x 16 in. rectangle. Spread the béchamel sauce in a thin, even layer over the dough. Cover with slices of ham and sprinkle with the grated cheese. Roll into an 8 in. log and, using a serrated knife, gently cut the log into 6 even sections. 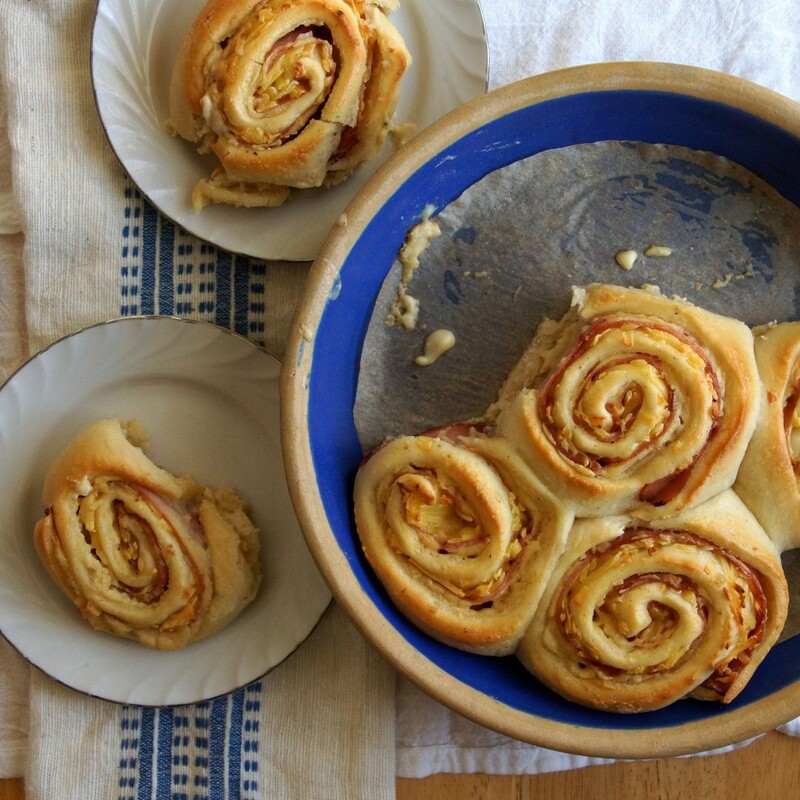 Place the rolls into a cake or pie pan, lined with parchment paper. Cover and allow to rise at room temperature for 2 hours or in the refrigerator overnight. If refrigerating them overnight, allow the rolls to sit at room temperature for an hour or so in the morning before baking. Preheat oven to 350°. Whisk the egg with 1 Tbsp. of water and brush over the tops of the rolls. Bake until tops are golden and the cheese has melted, 30-35 minutes. Allow to cool for 5-10 minutes before serving. Okay well I don’t see why would it be a problem to turn this one (as well) into a kind of croque monsieur! Looks fantastic. How did I miss this??? Would have been great for Easter brunch – maybe your picky brother would have even liked it!! and the antique pie plate looks great with them, too! I’m making these right now and they look delicious in my oven! I bet they’re just as tasty! I wish they were in my oven right now! Hope you like them!